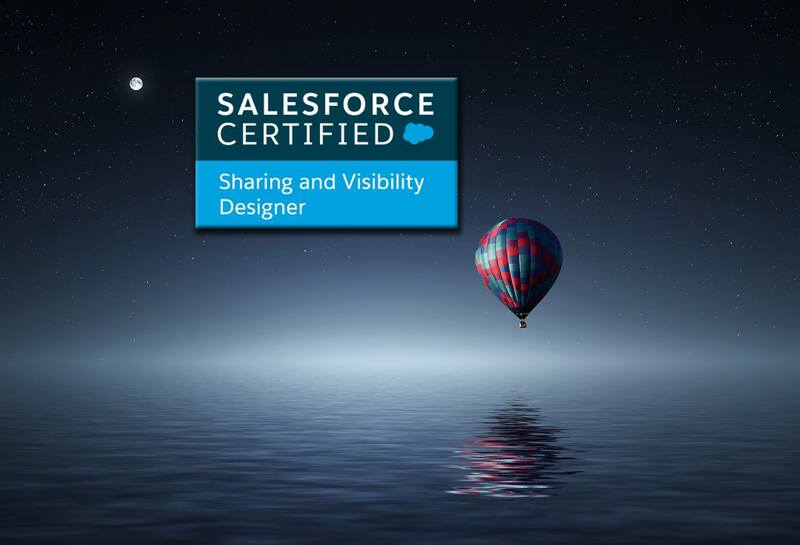 Recently I’ve cleared the Salesforce Sharing & Visibility Designer Certification, my first step towards becoming a Salesforce Technical Architect and so I thought of sharing some insights about the exam. After platform developer II certification, this is undeniably one of the challenging and fantabulous Salesforce exam. Now I have experienced the difference between knowing the path and walking the path, what an amazing experience!! [Update] : If you preparing for Platform Developer II Certification , please click here. The Salesforce Certified Architecture Designer credentials validate knowledge and expertise in particular specializations. The Salesforce Certified Application Architect and System Architect certifications recognize professionals who possess expertise in a domain area. The Salesforce Certified Technical Architect (CTA) credential is the pinnacle certification for those who demonstrate the knowledge, skills, and capabilities to design and build high-performance technical solutions on the Salesforce platform across all areas of domain expertise. CTAs are the Salesforce elite – you should aspire to become one. Here is the full outline of the exam. If you have rich hands-on experience with Profiles, Roles, OWD, Sharing Rules, Salesforce licenses, Permission Sets, Record Locking related issues, Territory Management, Communities, Apex Managed Sharing, Account & Opportunity Teams, then there is a green flag for you. Force.com is the preeminent cloud application development platform in use today, supporting more than 100,000 organizations and 220,000 deployed apps, so it’s very vital to understand the security and sharing. There are several articles around, but they missed to explain all the nuts and bolts involved with sharing & visibility and how to enforce levels of security when customizing application on force.com platform. Before moving ahead, I would highly recommend all the readers to go through the Salesforce blog – Salesforce Data Security Model — Explained Visually. Note: I have considered higher level overview to make flowchart self-explanatory and quite simple to understand. To have a better overview of the below blueprint I strongly recommend going through Salesforce’s Record-Level Access: Under the Hood Documentation. These self-explanatory flowcharts give the higher level overview for an example where the user wants to access the Object X record on the salesforce org. Now let us look at the few other aspects of security. As part of Salesforce development best practice, we need to pay very special attention to SOQL injection. Organizations are putting their most trusted information into Salesforce with the understanding that the data is secure. Company financials, customer lists, products, employees are all examples of very sensitive data to a company. As a developer of Salesforce applications, part of your job is to uphold the security put in place by the Force.com platform. A big part of this is making sure that the custom code you write cannot be used to cause any hard to the organizations using your code. Finding an architectural issue can be like finding a needle in a haystack !! So be focused and attentive while reading the question. Time is money! Master Your Time, Master Your Life. Reverse engineering is the key! Get the right answer by eliminating the wrong one. Good luck folks and feel free to tweet me @JitenJoysar if you have any questions! That’s it for this article, See you in next blog. Stay Happy, Stay Tuned !! Note: Kindly refrain asking questions, dumps, as I don’t have any and this would also breach the test taker agreement. It’s Self-pride when you clear certification without dumps. I’m humbled and grateful to mohith shrivastava and Matthew Morris for amazing support and guidance. I was going through various article for sharing visibility designer certification. But I must say that yours was most compressive and well explained. Really you have maintained the interest. Thanks a lot for such article. Built Lookup Utilizing Salesforce Lightning Design System and AngularJs. Built Picklist Utilizing Salesforce Lightning Design System and AngularJs.